Two of the funniest guys in comedy are getting serious about helping Alberta flood recovery. 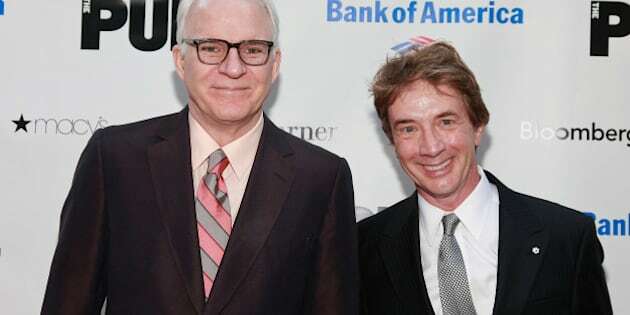 Hollywood funnymen Steve Martin and Martin short will donate proceeds from their upcoming show to The Calgary Foundation's Flood Rebuilding Fund. The Owen Hart Foundation, created 14 years ago in memory of Calgary wrestler Owen Hart, is hosting the annual concert event, which will see Martin and Short take the stage together for their show "A Very Stupid Conversation." "Our seniors in the East Village had to leave their homes during the flood and are now just trying to resume their daily lives; we want to offer these seniors living in poverty a fun night out. We all need to rally around those in need and those affected by this unexpected and devastating tragedy. It is time to rebuild and move forward, and we are proud to be a part of this process" said Martha Hart -- Owen's wife and founder of The Owen Hart Foundation. The show takes place Friday, Sept. 6 at 8:00 p.m. at the Southern Alberta Jubilee Auditorium.